CaptureWare provides a variety of connectivity apps to integrate any image into your EHR, PACS or other enterprise system. From scanned documents, photos, non-radiology jpegs, or outside CDs, CaptureWare is your one stop connectivity solution. All apps are zero footprint, enabling centralized deployment and eliminating individual desktop installation and configuration. Contact Altamont to request a free trial, and inquire about our simple Enterprise Licensing which is often less than you pay in annual support for similar solutions. 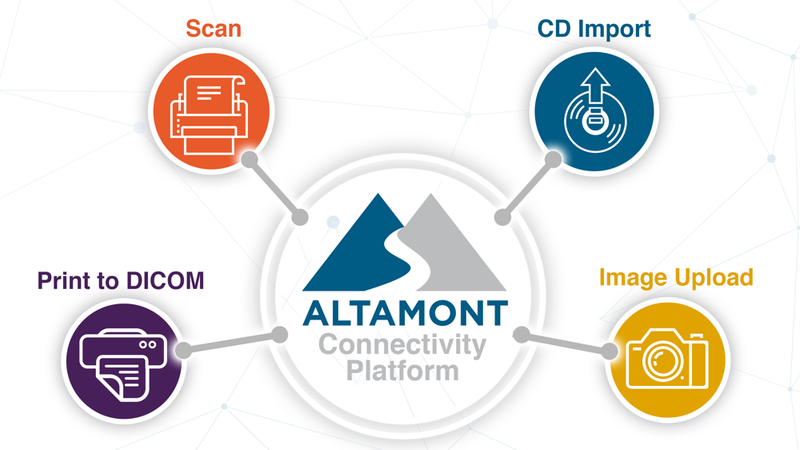 All CaptureWare applications leverage the power of the Altamont Connectivity Platform, providing centralized deployment, configuration, authentication and audit functionality. In addition, CaptureWare apps can be launched directly from the EHR or PACS while maintaining the current patient/study context. Single sign-on functionality eliminates redundant user logins.